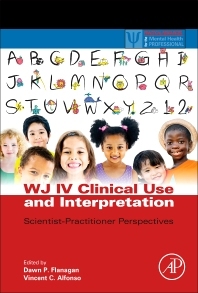 I'm pleased to report that this WJ IV resource is now available. I received my copy today. A link to information regarding the book from publisher is here. A PDF copy of the book at can be downloaded here. I am a minor contributor to one chapter in the book. As per stated conflict of interests, I need to disclose that I am a coauthor of the WJ IV and thus have a potential indirect financial interest in the success of this book. Autism is a developmental disability characterized by atypical social interaction, interests or body movements, and communication. Our review examines the empirical status of three communication phenomena believed to be unique to autism: pronoun reversal (using the pronoun you when the pronoun I is intended, and vice versa), echolalia (repeating what someone has said), and a reduced or even reversed production-comprehension lag (a reduction or reversal of the well-established finding that speakers produce less sophisticated language than they can comprehend). Each of these three phenomena has been claimed to be unique to autism; therefore, each has been proposed to be diagnostic of autism, and each has been interpreted in autism-centric ways (psychoanalytic interpretations of pronoun reversal, behaviorist interpretations of echolalia, and clinical lore about the production-comprehension lag). However, as our review demonstrates, none of these three phenomena is in fact unique to autism; none can or should serve as diagnostic of autism, and all call into question unwarranted assumptions about autistic persons and their language development and use. When it rains--it pours. Second posting today of research study reinforcing the importance of the P-FIT neuro-model of intelligence. Understanding the neural and metabolic correlates of fluid intelligence not only aids scientists in characterizing cognitive processes involved in intelligence, but it also offers insight into intervention methods to improve fluid intelligence. Here we use magnetic resonance spectroscopic imaging (MRSI) to measure N-acetyl aspartate (NAA), a biochemical marker of neural energy production and efficiency. We use principal components analysis (PCA) to examine how the distribution of NAA in the frontal and parietal lobes relates to fluid intelligence. We find that a left lateralized frontal-parietal component predicts fluid intelligence, and it does so independently of brain size, another significant predictor of fluid intelligence. These results suggest that the left motor regions play a key role in the visualization and planning necessary for spatial cognition and reasoning, and we discuss these findings in the context of the Parieto-Frontal Integration Theory of intelligence. Research Byte: Frontal and Parietal Cortices Show Different Spatiotemporal Dynamics across Problem-solving Stages--Is the P-FIT it? I have previously provided an overview of the P-FIT model of intelligence at the Interactive Metronome-Home blog. Interesting, but this still strikes me as risky and need of considerable research to determine any potential negative side effects. Pathways to Third-Grade Calculation Versus Word-Reading Competence: Are They More Alike or Different? Fuchs, Lynn S.; Geary, David C.; Fuchs, Douglas; Compton, Donald L.; Hamlett, Carol L.
This past week, while attending and presenting at the 2016 ATP conference, I learned of a CHC-based computer adaptive test system developed in Austria. It is called the INSBAT (Intelligence Structure Battery). I have also found an article describing some of the INSBAT test development and psychometrics. 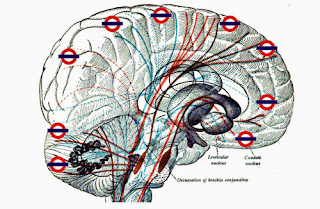 White matter matters. Yes, my readers may be tiring of this common mantra. But, another new study has again implicated the importance of white matter integrity. More importantly, the study suggests that a working memory training program (dual n-back) may be effective in increasing white matter integrity, thus increasing the efficiency and synchronization of communication between different brain networks. Click on the images below to enlarge. This study is consistent with my hypothesis that the effectiveness of some brain training programs may be due to increased white matter tract integrity. An explanation, with a link to a MindHub pub white paper outlining this hypothesis, can be found here. Other white matter related posts can be found here.